Jerry Lee Lewis first recorded “Middle Age Crazy” in 1977 — back when he was middle-aged. Now, 33 years later, at a time the song itself is headed for middle age, he has rerecorded it. The new version of the tune is done as a duet with country singer Tim McGraw (with Ronnie Wood and Gillian Welch playing guitars) on the Killer’s new album, Mean Old Man (named for a Kris Kristofferson song that kicks off the festivities). Good news/bad news time. The good news is that Lewis, who turns 75 this month, is still up and recording and sounding pretty good. 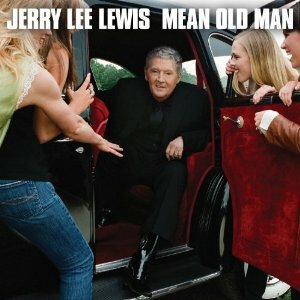 The cover of the album features a photo of Jerry surrounded by adoring young women who look like they might be his granddaughters. The bad news is that it’s another one of those guest-star albums consisting mainly of duets with famous “friends.” This was the case with his previous album, Last Man Standing (2006). Lots of the same collaborators are back — among them Mick Jagger, Keith Richards, Ringo Starr, Eric Clapton, and John Fogerty. And the worst news is that Kid Rock is back again. Lots of aging country singers apparently think it gives them cachet with the youth market to associate themselves with this guy. But to me, it only raises the question: Does anyone really like Kid Rock? Though this album is hardly essential, there are lots of fun moments. Three of my favorites involve members of The Rolling Stones. “Mean Old Man” has Wood on lead guitar. But Kristofferson’s wry lyrics, as interpreted by Lewis, are what set the tone for the whole album. Jagger, who sang “Wedding Dress” with Jerry Lee on Last Man Standing, stays in the background here on “Dead Flowers,” singing harmony on the choruses in his most obnoxious hick imitation. He makes the word “flowers” sound like “fliers.” There’s some sweet pedal steel by Greg Leisz here, too. And then there’s a cover of The Rolling Stones’ greatest “country” song, “Sweet Virginia,” with Richards on guitar and background vocals (along with Kristofferson and a singer named LaTonya Hall). It’s a perfect song for Jerry Lee Lewis, and with a crackerjack fiddle by Ken Lovelace, the Killer kills it. But there’s one big mystery here. In this version, Jerry Lee scrapes the “shine” right off his shoes. That’s not what the Rolling Stones scraped off back on Exile on Main St.
My first reaction was “someone censored Jerry Lee!” But when you think about it, nobody could ever censor Jerry Lee Lewis, so he probably did it himself. There’s something weirdly charming about the original rock ’n’ roll wild man refusing to sing profanity on a record. There are some other worthwhile tracks here. Jerry and Willie Nelson do a decent version of Johnny Bush’s “Whiskey River” — though it’s nowhere near the same league as the stunning Nelson/Lewis collaboration on “A Couple More Years” on Last Man Standing. He does a good honky-tonk version of former Louisiana Gov. Jimmie Davis’ “You Are My Sunshine,” though I would have liked it better had Sheryl Crow stayed with the background vocals and not taken a verse for herself. There’s also a jumping version of “You Can Have Her” featuring James Burton and Clapton on guitar. This one is vastly superior to the first Jerry Lee version of this I heard on The Killer Rocks On, way back in the early 1970s. The early rendition was all gummed up with a string section. This one rocks as it should. Let me reiterate: This is not essential Jerry Lee. If you’re new to the Killer — if, say, you came to him via Kid Rock — get thee to some early Sun sides. There are lots of compilations out there. Pick up a copy of Live at the Star Club, Hamburg (a 1964 show where he’s backed by The Nashville Teens, a British Invasion band), and then treat yourself to his underrated “country” period (’60s to early ’70s). And be thankful that your lifetime has intersected with that of Jerry Lee Lewis. 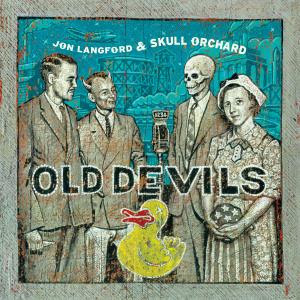 While Langford condemns out-of-control materialism in songs like “Luxury” and “Death Valley Day,” he also laments the crushing spiritual poverty caused by the awful economy. One of the coolest tunes on Old Devils is “Pieces of the Past,” which begins with old R&B devil Andre Williams reciting a history lesson about slavery and Capt. Henry Morgan, a fearsome pirate who has been turned into a funny logo for a rum company. “He was a very, very bad man,” Williams snarls. And you believe him. There are some intense rockers here. 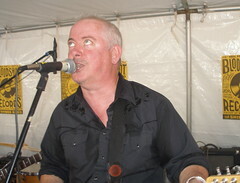 The rockabilly-informed “Self Portrait” is one example, as is the superpatriot-mocking “Flag of Triumph.” And “Rivers of Ice” is carried by what can only be described as a “scary blues” guitar hook. But there also are some pretty ballads, such as the title song, the countryish “Death Valley Day,” and “Haunted.” The last of these, with its ragged horn section, reminds me of some of Black 47’s better material. Then there’s the closing track, “Strange Ways to Win Wars,” featuring a call and response with fellow Mekon Sally Timms and a melody that reminds me of “The Country Is Young” from Langford’s All the Fame of Lofty Deeds.